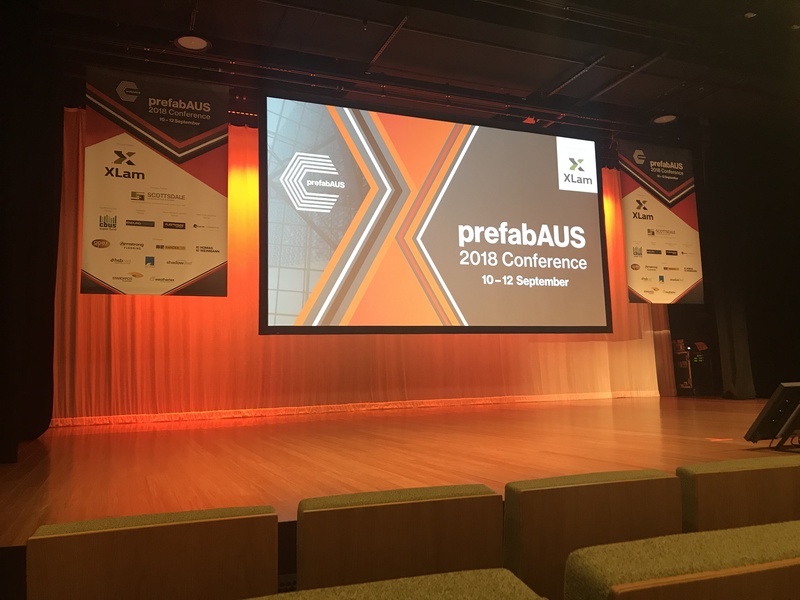 Last week, representatives from Sensum returned from the 2018 PrefabAus Conference in Brisbane. The well curated event included a wide range of experts from different fields. Regardless of background, a common theme emerged the construction industry needs to evolve to meet the needs of a fast-growing population and its shifting priorities. Keynote speaker, Karim Khalifa from Sidewalk Labs in New York delivered an eye-opening presentation about his work on the Sidewalk Toronto project. This project sets the new benchmark for intelligent urban development. Sidewalk Toronto covers 12.5 acres by the waterfront. The project team’s challenges include significant population growth, rising rent, limited access to green space, and combatting the cold. The project has commenced with extensive community consultation and exploration of available technologies. Some of the amazing technologies that Sidewalk Labs are investigating include: hexagonal pavement tiles that heat to melt snow, self-driving cars, automatic snow ploughs, mist fire blankets that reduce water waste by 90%, automatic spray plastering, and freight elevators with robots that load and unload goods. As for how this relates to prefabrication, the development is being planned in mass timber. A third of the global timber industry is based in Canada. While most buildings contribute to CO2 levels in the atmosphere, growing the trees required for production actively reduces it. The design considerations are fascinating. Because high-rise mass timber builds requires bracing, the project team are looking into building bridges between buildings to bolster the structure, while also providing valuable space for community gardens. To combat the extremes of Canadian weather, they will angle buildings to maximise summer wind and reduce winter winds. Sidewalk Labs aims to attain passive house equivalent status, and is looking into measures like triple glazed glass to help get the job done. The planned development will have longevity too. The loft style spaces can be easily re purposed, meaning that these buildings will meld to the community’s changing needs. The Sidewalk Toronto work is best described as trailblazing. We can’t wait to see this project move into delivery. Over the course of the conference, most speakers touched on the issue of sustainability. This is becoming increasingly important from a regulatory perspective, but also in terms of corporate responsibility. Michael Li from Climateworks shared information about his work with the Australian Building Codes Board. Together they are looking at implementing more stringent energy efficiency targets in the National Construction Code. Michael shared that buildings account for 23% of all emissions, and 55% of all energy usage. Given that by 2050, 51% of Australian buildings will be built after 2019, now is the perfect time to think about how we can contribute to this changing tide. It’s not just the regulators that are getting involved. Some of the big commercial players are acknowledging their impact. 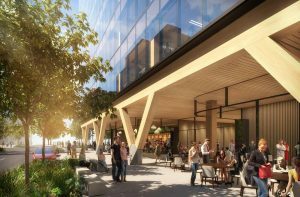 We heard fromÂ George Konstandakos of Lendlease who spoke about the company’s latest Cross Laminated Timber (CLT) building, 25 King, located in sunny Brisbane. Not only was this project 20% faster to build compared to concrete, but it has also removed thousands of tons of C02 from the atmosphere. In total, it took around 6 hours to grow the required spruce trees from sustainably managed Austrian forests. The production team are working towards a 6-star energy rating when it is completed in October this year. While there may be some higher costs up front, there is money to be made from the faster delivery times. When considering modular or prefabricated solutions, property developers should be mindful of the gains that can be made when building to rent. As for the end users, they can expect affordable office spaces that promote well-being by virtue of the open spaces and inviting timber structure. The future is bright, and many of the speakers discussed the factors that are going to support the industry to succeed in the new order. The overall consensus is that we will evolve via a combination of sharing knowledge, upskilling and embracing new technologies. Pamela Bell, founder and CEO of PrefabNZ discussed the New Zealand government’s approach to training. A new initiative will allow workers to get skills-based training in introductory modules perfect for enabling mobility across the construction factory floor. Similarly, Paul Kremer from XLam talked about their work with the Box Hill Institute to establish a new course in prefabricated solutions for trade trainees. Not only are we going to see upskilling across trades, but also the entrance of computer science experts into the construction field. Prefabrication is not just the domain of builders. The digital revolution is coming and we need to be ready for it. We’ve been talking about Building Information Modelling (BIM) for some time, but there are some challenges in making this technology work for us. Steve Appleby from AECOM discussed their engagement with the Victorian Department of Economic Development, Jobs Transport and Resources (DEDJTR) on a new Victorian Digital Asset Strategy, due for rollout by Christmas. The strategy will implement a consistent approach to BIM through nearly $80 billion worth of annual state capital projects. AECOM are already getting results from BIM, and in a recent job for Kuwait International Airport mapped out 25 million objects in the system. This map enabled them to complete a comprehensive quality assurance process. AECOM are also looking into applications for 3D printing. The company recently signed an agreement with Chinese company Winsun, in a joint venture aiming to print 5000 homes. While this project is still in the early phases of development, we can’t wait to hear more about what they will achieve together. Professor Tuan Ngo from the Australian Research Council’s Centre for Advanced Manufacturing of Prefabricated Housing (ARC.CAMPH) also touched on technological developments. While we are seeing examples of mass customisation in countries like Japan, we are getting closer to automatically computer-generated design. ARC.CAMPH are currently working on a program with AI generated design for apartments and office layouts. When provided with spacial parameters, the program will be able to share a number of options for optimised use of space. Some technology is making it direct to the factory floor. Ola Skoglund and Ola Svensson from Randek talked about the automated machinery they are known for. Randek is a Swedish company that develops and manufactures high-performance machines and systems for prefabricated house manufacturing. Randek’s robots do not require manual programming, but can simply be sent AutoCAD drawings to commence work. The possibilities are astounding a zero labour production line that can produce walls, floors and roofs. 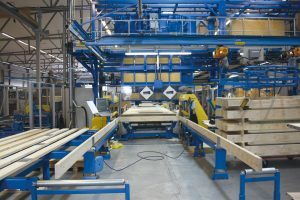 Where some parts of the construction industry are slow to change, the prefabricated industry is accelerating at increasing speed. It’s critical to keep a finger on the pulse if you want to stay ahead of the curve. Many thanks to the PrefabAus team for arranging a truly inspiring conference. We are keen to hear what’s next at the 2019 event in Sydney.